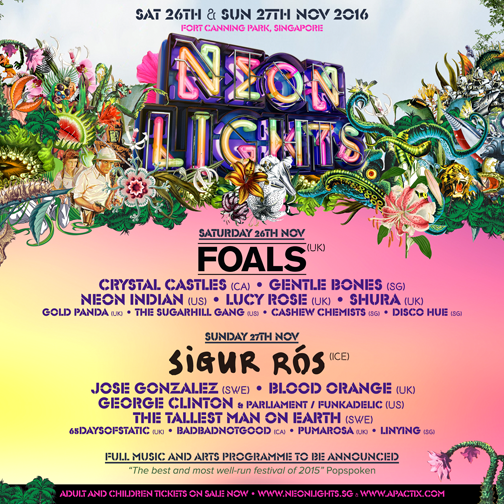 17 more acts has been added to the 2016 Neon Lights line up happening on 26 & 27 November 2016 at Fort Canning Park. Tickets are now on sale via www.neonlights.sg and you can click here to go straight to the page to buy your tickets. Go on over to www.neonlights.sg for the latest news and updates for Neon Lights 2016, Singapore.